Fancy the Cadillac DTS Executive Limousine owned by Donald Trump which longer than other ordinary limousine? 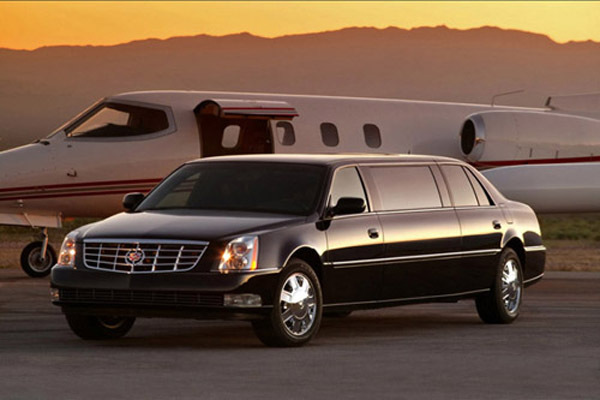 It may be long and very luxury, but DTS Executive is not the longest car in the world. 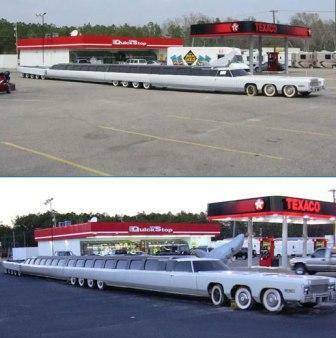 According to Guinness World Records, the longest car ever built is a 30.5-m long (100-ft), 26-wheeled limousine, designed by Jay Ohrberg of Burbank, California, USA. The longest car is mainly used in films and exhibitions. The car can be drive as a rigid vehicle or canbe changed to bend in the middle. Not to be outdone in luxury, the limousine has a swimming pool with diving board and a king-sized waterbed as the features. But it will be incredible task to drive it properly on normal road without causing accident. This entry was posted on Tuesday, August 1st, 2006 at 10:48 am	and is filed under Funny Junk. You can leave a response, or trackback from your own site.